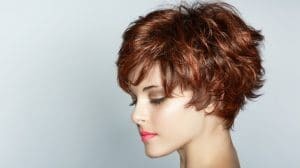 If you don’t have time to visit the hair salon and wait for a couple of hours to get your hair dyed, this article is for you. Today, I will share the best tips and tricks on how to dye your hair at home and review the best blue hair dyes for those who prefer cool blue hair color. I know that dyeing your hair alone might sound frightening. However, once you know what you’re doing, you will realize that it isn’t a complicated process. On the contrary, it’s very simple. So, if you want to give yourself a brand-new hairstyle without visiting a hairstylist, you’re in the right place. Buckle up and learn how to achieve salon results every single time. How to prepare your hair for dyeing at home? How to dye your own hair at home properly? How to make your new hair color last longer? The first step to successful dyeing is preparing your hair. But this isn’t as complicated as it sounds. Actually, it’s very simple. Just follow these few steps and you will do just fine. According to my research on how to properly dye your hair at home, it’s recommended that you don’t wash your hair right before dyeing. It’s best if you do it 24 to 48 hours before. I wasn’t aware that this was like a rule, but I did it anyway. Apparently, it allows the natural oils in your hair to develop. And it helps the dye to bind to the hair better and stay longer. Also, the product will blend more naturally and make the color last longer. If you can, avoid applying conditioner the day before you dye your hair because it destroys the natural oils. And as I just mentioned before, we need those natural oils for the product to blend easily. If you have dry hair, it’s suggested that you condition it every day for at least 5 minutes with hot water for 1 week before dyeing. However, you shouldn’t use a conditioner the day before you dye your hair. This tip will protect your hair from getting dry after the dyeing. If this is your first time your hair at home, it’s best to pick two lighter or darker shades than your current hair color. I don’t suggest that you go with something crazy like green, yellow or going from dark to light and vice versa. It is your first time dyeing your hair at home. And you might want to leave all the crazy hairstyles and colors for your hair stylist. If you’ve never dyed your hair before, a semi-permanent product or temporary dye is the perfect choice for you. It’s the easiest way to decide which shade you like best. And most importantly, if you don’t like the change you’ve made, you don’t have to live with it for long. Semi-permanent products should be applied to damp hair only. Temporary dyes, like mousse and chalk, will wash off after a couple of shampoos, while semi-permanent dyes last longer. If you’re doing this for the first time, it’s likely that you will leave dye stains everywhere. That’s why I recommend that you protect yourself and your home from dye stains. You can use newspapers to cover the surfaces around the place where you plan to dye your hair. Or keep paper towels close, so you can easily wipe away spills. I also recommend that you wear an old shirt that you don’t need anymore, instead of ruining your favorite shirt with stains. It’s recommended that you cover your shoulders with a color cape or towel before you dye your hair. The product can easily drip off of the hair. However, the color cape or towel will catch the drops and protect your clothes. A color cape can be bought at any beauty store. However, if you don’t have time to purchase one, a towel will do the job just fine. I suggest that you use an old towel that you don’t need anymore. Secure it with a clip in the front of your neck. Also, you can save and re-use the old towel for the next time you dye your hair. I recommend that you brush your hair before you dye it. And brush it well because it will simplify the process. If you brush your hair before you start, you can easily apply the dye. Also, if your hair is brushed, it will be easier to dye it evenly, especially if you’re a newbie. Coat your hairline, neck, and ears before you start. You can use your lip balm, vaseline or the conditioner that comes with the product if one is included in the package. This isn’t a necessary step, however, I recommend it. It helps you get off the dye a lot easier after. Gloves usually come in the package. However, if they don’t, you can always use normal latex, vinyl or rubber gloves. You should wear gloves to protect your hands and nails from dyeing. Take a bowl and mix the dye. In order to do it right, always read the instructions on the kit. Most kits include bottles in which you can mix the dye. However, if the one you bought doesn’t have one, you can always use a plastic bowl. Mix the ingredients provided in the kit. After, you can apply the mixture with a paint brush. However, some prefer to apply it with a toothbrush. It’s an interesting tool to apply a dye with, however, trust me when I say, it works excellent, especially when it comes to dyeaing the roots. If you prefer a paint brush, you can always get one at your local drugstore or beauty shop. My father often uses his hands when dyeing my mother’s hair. He says that it’s easier. So, feel free to try this simple method if you can’t find any paint brush or toothbrush nearby. Last but not least step for preparation before dyeing is mixing the dye with a developer. If one comes in the kit, excellent. However, if it’s not included, you can buy one from the local drugstore. If included, follow the instructions. But if not, purchase a 20% developer. If you’re a fan of blue hair or want to try out something fun and crazy, you should pick one of these products. However, if you’ve never dyed your hair blue before, instead of doing it alone, I suggest that you visit a hairstylist who will make sure that your hair looks amazing. If you’re looking for the best demi-permanent hair color, this is the one. It lasts between 3 and 6 weeks and will do miracles for your hair. I don’t know about you but I believe that a person who doesn’t change their hair, will never change their life. So, if you’re looking for a change to make, start with your hair. N Rage Demi Permanente color in cobalt blue lasts for over 25 shampoos. A cruelty-free, vegan product that you will absolutely adore. Made in the USA, this product includes UVB and UVA inhibitors and will provide a vibrant color. If you’re looking for something in cobalt blue, look no further than the Joico Vero K-Pak Intensity semi-permanent hair dye. A professional soft formula that will impress you and replace other dyes you have used before. It provides a vivid shade that is hard to ignore. One of the best blue hair dyes on the market. Recommended by experts. Loved by users. Looking for a shocking blue shade that will make a statement? Look no more because I’ve found just the perfect product for you. I’m talking about the Manic Panic Semi-permanent hair color cream, bad boy blue. It works with darker and lighter hair. No matter what type of hair you have, this dye will provide excellent results. It’s brighter than pastel blue hair color but dark as navy or midnight blue. One of my favorite shades on the market. Easy to apply and lasts between 4 and 6 weeks. A vegan product that’s gluten-free and parabens-free. Also, instead of being tested on poor animals, this product is tested on celebrities. Are you looking to make a change in your hairstyle and refresh your hair with a new color? If yes, I happen to have the best vivid shade of blue that will do wonders for your hair. It is an intense color in sapphire blue. A professional formula that will definitely impress you. So, if you want all the attention to be placed on you, this is the perfect hair color for you. If you want to use the PRAVANA ChromaSilk Vivids Crème Hair color that contains silk and keratin protein, you should pre-lighten your hair to the wanted level. Also, I know that I’ve mentioned that you shouldn’t wash your hair before dyeing, the description of this dye says that you should apply on freshly shampooed and dry hair. No developer is needed for this product. Also, you should rinse with cool water until it becomes clear. A product that will protect your hair thanks to the professional formula and make wonders for your hair. If you’re looking for a dye that will dye and not damage your hair at all, the Pinky semi-permanent conditioning hair color is the product for you. It contains vegan keratin complex for a better, brighter color that will last longer and take care of your hair. A long-lasting dye that’s very easy to apply. And most importantly, it’s completely safe because it doesn’t contain ammonia, paraben, PPD’s and GMO’s. A cruelty-free, vegan product made in the US. 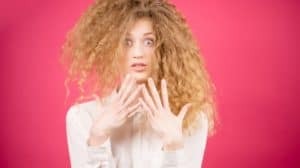 It’s recommended that you wash your hair before you apply the Special Effects hair dye, however, it’s not recommended that you use a conditioner before you do it. Apply on dry hair and rinse away with regular shampoo and cool water. If you pick the blue mayhem, it will stick to your hair between 3 and 5 weeks. However, it all depends on how often do you wash your hair and what type of hair you have. Nonetheless, it’s one of the best blue dyes. Last but not least product on the list is SPLAT hair chalk in silver moon color. If you pick this one, you’re supposed to apply it on a dry hair. Easy to apply and long-lasting color that will impress you, and everyone around you. A soft color that’s easy to curl, style or brush after application. So, if you want to highlight your hair with top-quality chalk, this is it. Now that you have prepared your hair and have all the necessary tools to give your hair a complete makeover, it’s time to apply that dye onto your scalp. Follow these simple steps. First, you need to separate your hair into 4 sections using a comb. After, you can use some plastic clips to keep the sections apart. This step will help you apply the product with ease. Apply the products in sections, evenly. You can divide each section into subsections if that is easier for you. It will help you apply the product even better and more even. Use a brush or applicator bottle to spread the product onto the hair. After, you can use your fingers to apply even better. Massage the product into your hair. If this is your first time dyeing, it’s recommended that you start with the roots. If you have thick hair, make smaller sections. Once you’re done and you have applied evenly, set up a timer. First, read the instructions in the kit and see how long it needs for the dye to sit on your hair before you wash it off. It is best if you respect the given time. If you leave it longer, it doesn’t mean that it will bind with your hair. If you want the dye to bind with the hair better, sit under a heated dryer. However, never leave the product overnight. It might cause skin irritation and damage the hair and make it dry. As I just said, leaving the dye longer won’t bring you booming results. You might want to wipe all the stains on your neck and forehead with a wet cloth or a paper towel after you finish. Otherwise, it will be harder for you to take the dye off of your skin because the longer it sits, the harder it washes away. In order to prevent this from in the future, you should wear a shower cap after you finish with dyeing. It will keep the product from going everywhere. Also, use an old towel to wrap your head. This will allow the shower cap to produce heat. And it will speed up the dyeing and provide amazing results in the end. When the alarm rings, get into the shower and rinse your hair with warm water. Rinse until the water becomes clear. And don’t panic if you see too much of the color coming off while showering. It’s a natural process and doesn’t mean that you’ve messed up everything. Also, know that color will come off with every washing, even if you’re using a permanent product. Most people make the same mistake. They apply shampoo and conditioner right after they rinse the dye. However, this is wrong. You should wait for at least 1 hour before you apply shampoo and conditioner onto your hair after dyeing. Always use the conditioner included in the kit. But if there’s not a conditioner included, feel free to use your own conditioner. After you’re done with everything, you don’t have to do anything special. Just treat your hair as you would normally do. Blow dry it. Or let it dry naturally. After, style it like before and prepare yourself for the big revelation. If you’re happy with the results, congrats. But if you’re not, read on. I will share a few useful tips on what to do if you don’t like the color. However, before I do that, I want you to check out the best blue hair dyes on the market. What to do if I hate my new hair color? So, you’ve dyed your hair with the supposedly ‘right’ shade and now you hate it. There are a few things you can do about it. If the shade is too dark, wash it off immediately. However, this time, use a mixture of a clarifying shampoo with a tablespoon of baking soda. Let it sit for about 5 minutes before you wash it off. If you don’t have the ingredients at home, you can apply olive oil. However, make sure that your hair is damp. Put a shower cap and a towel to produce heat in order to open your cuticle. Wash off with a normal shampoo right away. If the shade is too light, it’s a lot simpler to fix. Just apply more dye. However, this time, pick the next darker shade of the previous you used. Apply on the parts that are too faint first. Use the rest for the rest of your hair. Leave it for half the time recommended and wash it off. However, if your hair is too light and you feel like you cannot fix it, see a pro. If the hair has turned green, wash the tint out with a deep treatment mask or a clarifying shampoo immediately. If this doesn’t help, wash your hair with ketchup. The acidity of the ketchup will neutralize the reaction. If you like your color, learn how to make it last longer. To wrap it up, I will share a few useful tips on how to take care of your new hair color. Always purchase sulfate-free, alcohol-free, preserving conditioner and shampoo. Wash your hair less often. Skip washing whenever you can because water is your hair’s worst enemy. Also, use as little shampoo as you can or use conditioner only. Use a deep conditioner at least once per week in order to make sure that your hair stays soft and well-hydrated. Also, you should air dry your hair as often as possible. Protect your hair against UV, just like you do with your skin. Wear a hat in order to protect your color. And spritz UV protectant around 30 minutes before going out. I hope you find this article interesting and helpful. Feel free to share it with someone you love who’s thinking about dyeing their hair alone. I also reviewed the best blue hair dyes on the market, if you’re a fan of blue color. And I sincerely hope that you will find a match.